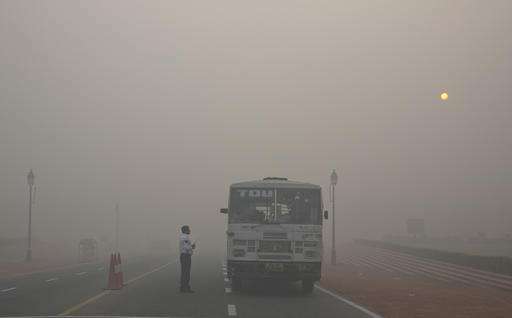 As Indians awoke Monday to smoke-filled skies from a weekend of festival fireworks, New Delhi's worst season for air pollution began—with dire consequences. 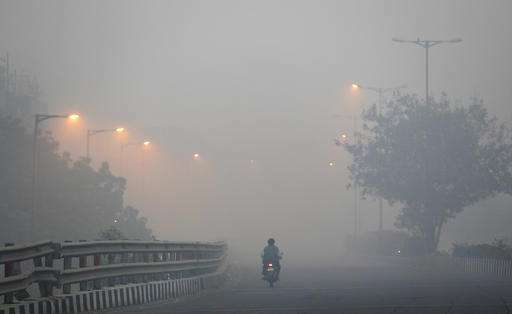 Even days before the city erupted in annual fireworks celebrations for the Hindu holiday of Diwali, recorded levels of tiny, lung-clogging particulate matter known as PM 2.5 were considered dangerous Friday at well above 300 micrograms per cubic meter. 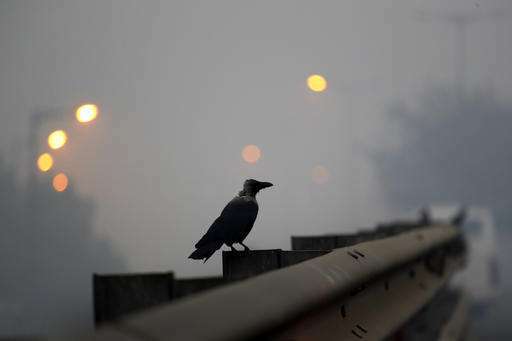 By Monday morning, the city was recording PM 2.5 levels above 900 mcg per cubic meter—more than 90 times higher than the WHO recommendation of no more than 10 mcg per cubic meter. Counting 2 billion children breathing unhealthy air—out of a total 2.26 billion world population of children—means the vast majority are being exposed to levels of pollution considered by the WHO to be unsafe. 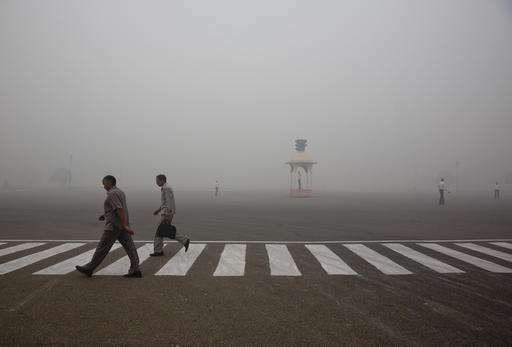 Out of that 2 billion breathing toxic air, the report puts 620 million of them in South Asia—mostly northern India. Another 520 million children are breathing toxic air in Africa, and 450 million in East Asia, mainly China, according to the report, which combined satellite images of pollution and ground data with demographic patterns to determine which populations fell into the highest risk areas. 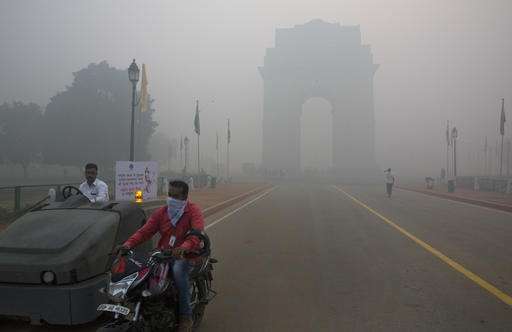 Dehli has highs of 30 or 31C, and its residents need to burn garbage to stay warm? Indians have a long history of resisting change for the better. Their widows were burned to death until missionaries convinced the English leadership to start to bring an end it. The caste system is "officially" gone, but in reality it is still a pervasive evil force. Recently they are trying to get people to stop passing feces in public. I guess after they get some of their other problems taken care of, then they can tackle pollution. The problem is that there are too many people on Earth. In India, Bangladesh and China live ~ 2773 million people, that's a bit more than one third of the world population ( https://upload.wi...2000.png ). All these three countries have a very high population density. And the population of these countries is still growing by ~ 6 %. Overpopulation causes a lot of problems: water and air pollution, climate change, mass extinction of animal species, increased emergence of new epidemics and pandemics, and so on. But their main problem will be the increasing difficulties to supply water and food. A lot of people are already forced to eat genetically modified food. But gene manipulation also has it's limits. What's next? "Soylent Green"? The lack of food will certainly lead to crisis and wars all over the world. We should solve this overpopulation problem. I am ready to help. First, I am not Indian.... But I found so hilarious that some people say that India has problems to change! lol.... At least they do not sell weapons at grocery stores. At least India do not have a huge number of deaths caused by pharmaceuticals, which companies control their government. At least the epidemic of sexually transmitted diseases is not reaching the roof in India. India has a very serious problem that "coincidentally" was not mentioned yet because it is a contribution of the westerners: very high alcohol intake. Funny how westerners want to "help" those countries. Hope the "help" does not involve an invasion with scores of deaths. Very typical of those cultures... in the meantime, they will put a psychopath in the white house with a stripper as first "lady". Didn't you....say that already, some days ago.....? Nevermind. Please help us. Solve yourself first. If you truly believe that the WHO and UNICEF care for these children, then let me suggest you stand in front of a mirror and punch yourself in the face until you come to your senses. These organizations are parasites whose sole existence is to feed on human suffering.